We have been discovering from years now how Hindu traditions and religious practices have amazing scientific reasons behind them. In this post, I intend to show how modern science is only now beginning to discover that the thousands of years old practice of fasting in Hinduism is so incredibly beneficial for health. Hindus discovered and established the practice of fasting thousands of years ago as ways to maintain good health, lower bad cholesterol, prevent cardiovascular diseases, improve hormonal balance, prevent cancer, protect brain cells and in general increase life expectancy and quality of life. . I will also clarify why the way Hinduism prescribes fasting, is more beneficial than the way it's done in other religions like Islam, Judaism, Christianity etc. had an opportunity to meet a lot of Americans who have actually given up Christianity and Judaism and have happily accepted Hinduism as their religion of choice. I saw similar similar movements during my travels in Johannesburg and Cape Town as well. 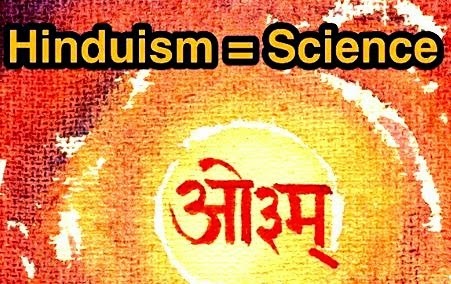 Interest in Hinduism is growing all over the world and people are appreciating both the spiritual aspects and ancient Hindu scientific discoveries and making the choice to convert. Interestingly, Caucasian (white) population seem to be more interested in and converting to Hinduism than those with African descent (blacks - who seem to be more interested in converting to Islam) - something most likely governed by socio-economic and education levels, but I digress, this is a topic for a future article. Anyway, during my travels, I was bombarded with requests to address many questions related to Hinduism. One of the questions was "Why Hindus Fast?" Many Muslim commented that their Eid fasting is better than Hindu fasting because it is done for Forty days without a break and not periodically (once or twice a week etc) as in Hinduism. Now, there's a lot of pseudo-science around religion and therefore I make it a point to explain everything from a strict scientific perspective using the real studies performed and validated by scientists around the world. This is also important because the underlying principles behind fasting are found in Ayurvedas which was written thousands of years ago. Bear in mind that most of the scientists making these discoveries are not even Hindus, and their motivations in the research are finding ways to improve human health and longevity. That makes it more amazing, but not unexpected, how modern science is constantly validating scientific discoveries made by Hindus thousands of years ago. 2. The Hindu practice of fasting may stop the growth of brain tumors - The researchers from the same the Longevity Institute from California have found that fasting makes the treatment of brain tumors twice as effective. For example, the survival rate from Gliomas (one of the worst but also very common type of brain tumor) increased by over 200% when fasting was also included in the treatment. 3. The Hindu practice of fasting may prevent and help treat diabetes and heart disease - Diabetes and heart diseases (blood pressure) are two more epidemics in today's world and it is a great news that fasting is able to help. The researchers at the Intermountain Heart Institute in Utah have discovered that fasting lowers both insulin levels and bad cholesterol while increasing HGH and glucose metabolism. They also found that fasting lowers IGF-1, triglycerides and glucose levels in blood thus lowering risks of diabetes, heart disease and cancer. The researches at Britain’s University of Manchester have also shown that fasting results in reduction in blood insulin levels. Fasting also protects heart against cardiovascular disease by protecting heart against the deadly ischemic injury. 4. 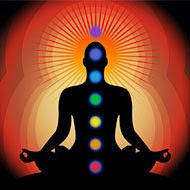 The Hindu practice of fasting promotes growth of new healthy brain cells - There are a lot of practices in Ancient Hinduism that are focused on improving brain cells and functions; Prananyam, Yoga, Samadhi etc to name a few. Given the importance of healthy brain function in Hindu practices it is not surprising to find that fasting aids in brain health as well. Fasting improves both neurogenesis and neuronal plasticity and offers protection against neurotoxins. What is indeed surprising though is that ancient hindus established ways of improving brain health when most of the rest of the world was likely still hunting & gathering for foods. 5. The Hindu practice of fasting reduces risk of Alzheimer’s and Parkinson’s diseases - Alzheimer's and Parkinson's are two of the leading diseases in the elderly all over the world and currently there is no cure for Alzheimer's. 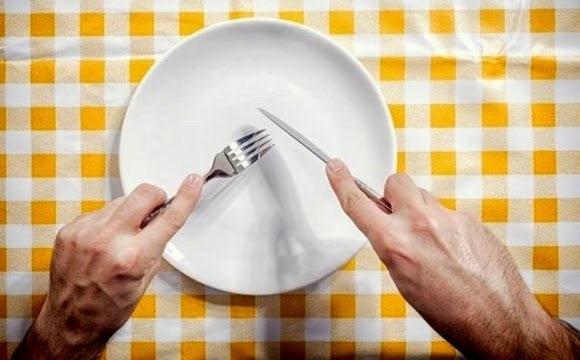 Now evidence discovered by researchers in the National Institute of Aging and Ohio State University USA have uncovered that fasting significantly delays these diseases. The researches clearly indicate that elderly who follow Hindu fasting practices properly will stay healthier and active longer when it comes to brain health. DNA damage is somewhat lesser known but a very real health risk. It results from oxidative stress on cells all over the body and fasting has been shown to lower it. Ultimately, it can result in various forms of cancers and aging related diseases. Fasting done properly actually improves cell repair and turnover (autophagocytosis). 7. The Hindu practice of fasting helps Asthma, inflammation(including CRP<, IL-6, TNF, BDNF, and more), DNA damage, metabolic rate and more. Fasting in general improves pulmonary function and improves metabolic and other markers including but not limited to oxidative stress and inflammation etc, across the board throughout human body. 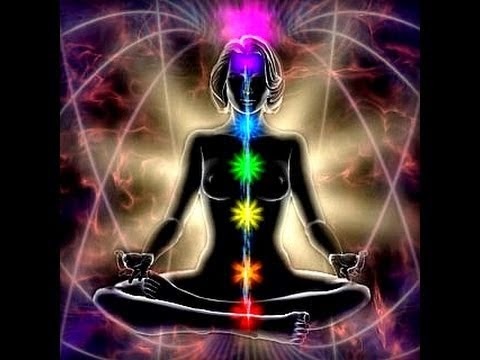 Improvements in such a wide spectrum of body functions has a synergistic effect on human body thus curing and preventing a wide spectrum of diseases and abnormalities. As the esteemed reader can see, fasting helps prevent and cure such a diverse spectrum of conditions, the above mentioned benefits of Hindu fasting are just some of the many that the western researchers are just beginning to discover. A complete analysis of modern day research and comparison with the ancient Hindu discoveries of the health benefits of fasting might require a complete book. Suffice it to say that more and more grants are being issued and more scientists are joining the research to further learn and rediscover what ancient Hindus had already learned and applied to their lives thousands of years ago. 1. Islamic fasting potentially result in toxic dehydration because they don't allow water - Countless studies have shown that dehydration has no health benefits and is degenerative when it comes to health and mental well being. The cells inside the body start breaking when water intake is lacking and body is unable to flush toxins out of the system. Hinduism realizes this and allows water intake during a fast. In Islamic Ramdan people get dehydrated and end the potential benefits of fasts. 2. Islamic fasting is not long enough to reap the health benefits - The best benefits of fasting are obtained when it is intermittent and lasts for 24 to 48 hours. In Hinduism, most fasts are done from sunset of the previous day to sunset of the current day making them 24 hours long. 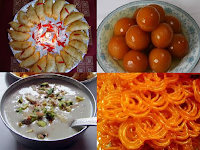 In Islamic Ramdans, people eat in the morning before sunrise and then again on sunset of the same day again thus ending the fasts before the potential benefits begin. night - This might be subjective but eating all night and not eating in the day is no different from eating all day and sleeping all night. In other words, all of us people stay up and have meals during the day and then during the night we sleep and don't eat or drink. The Islamic Ramdan/Rojas simply reverse that but letting people eat in the night instead of in the day. That's not really a fast, per say. 4. Islamic fasts disallow all essential nutrients - This will be a topic for another post and has not been discussed in this series so far but, in addition to water only fasts, Hinduism also allows for selected intake of nutrients for certain fasts. That makes sense because it allows people to ensure their bodies are not deprived of essential nutrients depending on the physical condition and requirements of the person doing the fasts. In Islamic Ramdans / Rojas, people simply accumulate toxic wastes because of dehydration and the fasting practice is not flexible enough to allow selective nutrient intake. Solah Shukrawars (16 Fridays), twice and even thrice a week fasts over the years and each of my fasts is at least 36 hours long (starting from sunset today to sunrise day after tomorrow, for example). I started without knowing all these health benefits but with the strong belief that the ancient Hindu practices are meaningful and are rooted in science. I have never had to suffer from modern ailments like blood pressure, diabetes, obesity and more; I can run for 10-20Km even on my fast days; I should probably attribute a lot of it to the Hindu practice of fasting. Now as I learn how modern science is discovering these medicinal benefits that ancient Hindus discovered thousands of years ago, I feel content. I can only imagine what all things modern science will find about Hinduism and ancient Hindu scientific discoveries in the coming years! Note: A word of advice to everyone - In ancient days there were sages and people well versed in Hindu medicine and herbology. These days we do not have them and that makes it essential that everyone looking to adopt the Hindu practice of fasting gets oneself examined by a trained ayurvedic doctor (or a regular allopathic doctor) to reap the most benefits of fasting.